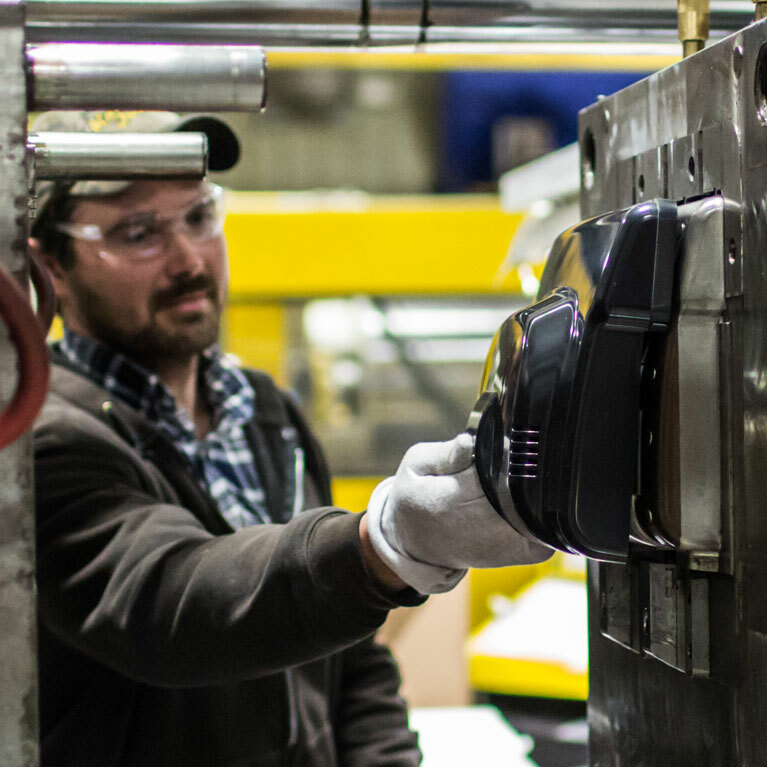 Mac Molding is proud to provide injection molding services with the help of a uniquely trained and experienced production team. With more collective expertise under one roof than most of our competitors, we’re able to get a precise read on the tools used in production. This hands-on experience allows each team member to precisely time each operation to deftly fill and release molded parts at the precise moment required to execute each step perfectly. Our customers can expect this level of beginning-to-end quality assurance with every part we make. Mac Molding focuses on replicating efficient, affordable, turnkey plastic injection products each and every time. Talk to us about how we can deliver on your most challenging molded plastic projects, whether they’re already in progress, new or time-sensitive projects.